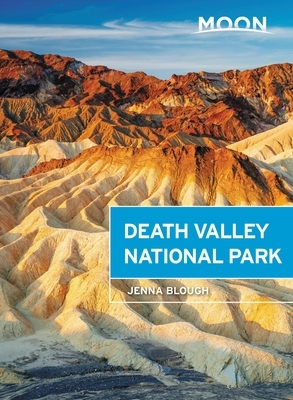 With Moon's practical tips and expert know-how, you can experience Death Valley your way. Jenna Blough grew up on the edge of the beautiful Blue Ridge Mountains, where she was allowed to run wild, instilling a love of the outdoors early on. After her parents dragged her and her sister on a cross-country road trip of epic proportions (visiting American classics like Wall Drug in South Dakota, Mesa Verde in Colorado, and the Petrified Forest in Arizona) she developed an equal appreciation for Wild West roadside attractions, historic sites, and wilderness. Jenna eventually found the California desert to be her geographic soul mate. Drawn by the austere beauty of Death Valley, she is fascinated by its cultural history, ghost towns, native sites, and the Mojave's shifting landscape. Jenna received an undergraduate degree in cultural anthropology, an MA in English literature, and an MFA in writing. When she's not living out of a tent, Jenna resides in Los Angeles with her husband Ryan Jones. Visit her blog at www.whentheroadends.com.